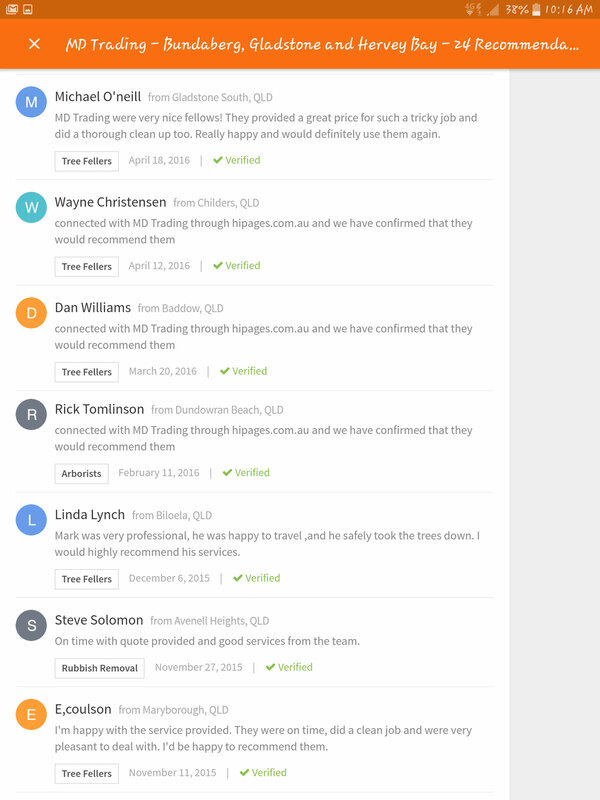 Reliable, Professional and Ethical; these are what MD Trading Tree Removal stands for. 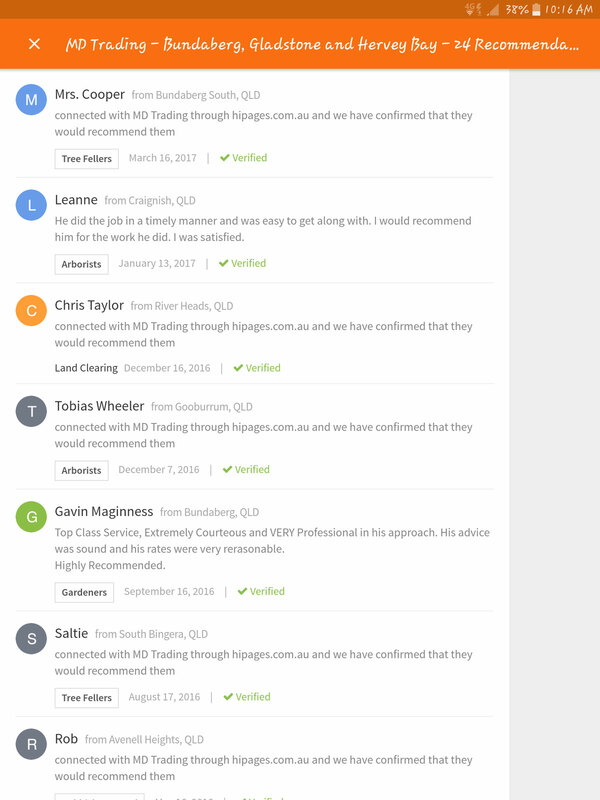 We provide services from Gympie to Rockhampton. Over the years, MD Trading Tree Removal has built up numerous customer bases due to the quality of services we provided and an affordable directs to the point no hidden cost quote. MD Trading Tree removal upholds to rules and regulations concerning the cutting and removal of trees. Also, we offer stump grinding, pruning, hedge trimming and palm cleaning. Mark Elliott is the sole trader of MD Trading Tree Removal. He is a qualified Arborist with 20 years of solid experiences. 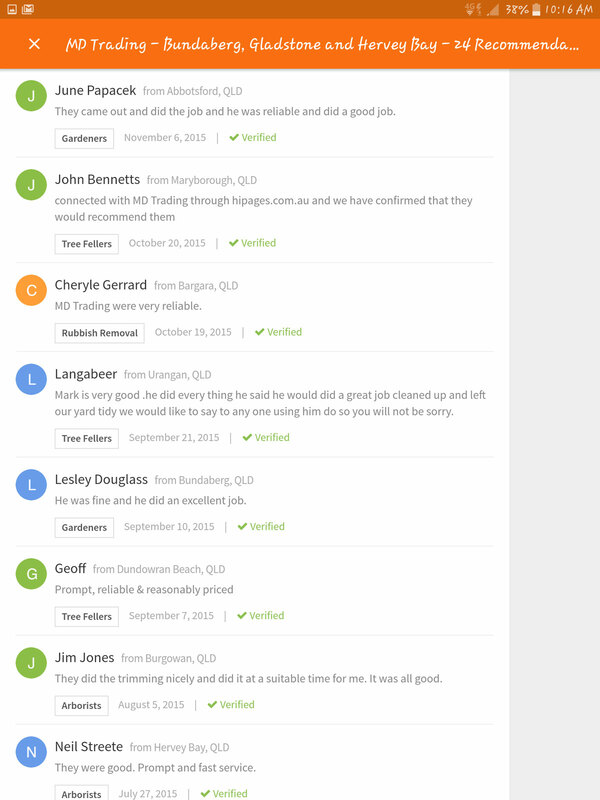 Here are various testimonials from our customer's; we pride ourselves in providing excellent customer satisfaction.